CROSBY  Lest we forget that a loss of real person with a ready smile and quick humor, as deeply honorable and at the same time likable passed away on 10/10/10 and left this area last Saturday en route to Houstons Veterans Memorial Cemetery. Individuals sparsely lined Crosby Freeways Access Road with a Banner at Runneburg in route to Houston per a suggestion on the Crosby/Huffman Chamber of Commerces website that day. A troop of over 180 motorcycles made their way down the path to get on the Crosby Freeway proper at the start of the procession to the Veterans Memorial. 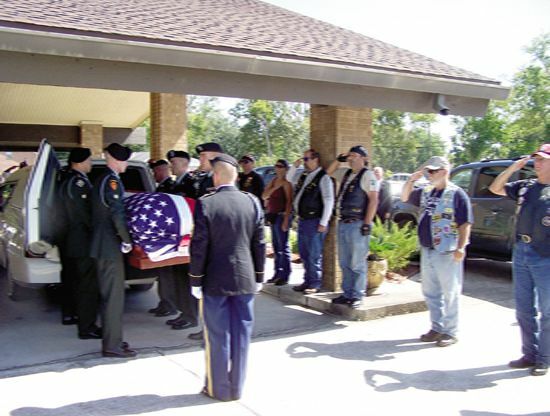 Southeast Texas Patriot Guard Riders not only organized that troop but also provided a saluting guard on hand as the casket bearing McNerneys remains into the hearse that would transport him to Veterans Memorial. David McNerney participated in this community and remembrances, monuments are left here of his service to the local legion and a fond memory of who he was and how he lived the definition of honor. On Sept. 11, this year, American Legion 658 in Crosby hosted a special ceremony attended by McNerneys fellow combatants from Poli Doc, South Vietnam where he earned the Congressional Medal of Honor, according to former President L.B. Johnson on March 22, 1967. He was attended by William Sasser of Boulder, Colorado also a Medal of Honor recipient who returned to Crosby last Saturday to pay final respects. Other highly decorated veterans were welcomed to Crosby concerning the American Legion 658 placing an obelisk with McNerneys image on each side as memorial to his service to the community and nation. Many services were organized by his best friends including Jerald Blankenship. Who presided over much of Saturdays procession outside services and Eucharists preformed by Priests at Sacred Heart Catholic Church including Father OConnor. The liter that would bear his remains at the Houston ceremony had stayed inside Crosby Fairgrounds from Oklahoma by a special Medal of Honor Unit of the U.S.Army. On Tuesday September 7, 2010 the Crosby High School JROTC department conducted a ceremony that designated the future JROTC building in honor of First Sergeant David H. McNerney then one of only 87 living Medal of Honor recipients. A JROTC program officially began in October, 2003 with the hiring of Major Quenton Farr and Sergeant First Class Timothy Meadows. JROTC opened its first class with 167 cadets in January 2004 in one modular building. Since the start of the program JROTC has averaged an enrollment of 116 cadets per year. The JROTC program has earned the highest award of Honor Unit With Distinction on two consecutive federal inspections in 2007 and 2010. Crosby ISD school trustees voted to build a $3 M. JROTC facility on August 16, 2010, dedicating and naming of the facility the David H. McNerney JROTC Building in honor of Crosbys own Medal of Honor recipient. McNerney specialized in being the best drug interdiction officer in Houston during his service there. He helped catch 4 tons of marijuana on a single ship once. He then spent the night guarding his catch. HIGHLANDSEfforts to contain hazardous materials leaking into the San Jacinto River from waste pits could start in as soon as six weeks, says the Environmental Protection Agency. 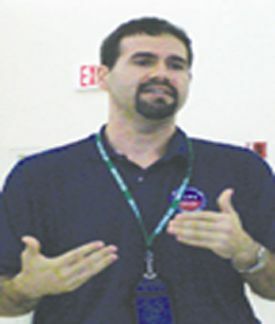 Speaking to a group assembled Monday in the San Jacinto Community Center, Valmichael Leos, a project manager with the EPA Region 6 office said that depending on the response by International Paper and McGinnes Industrial Maintenance Corporation, which have been identified as the Potentially Responsible Party (PRP), construction on a containment berm could start in six weeks. The berm, Leos said, would be a barrier designed to temporarily contain the contaminants until a permanent solution can be found. The EPA is asking for a barrier comprised of clean fill (earthen material, sand, rock and gravel) that can withstand a 100-year flood event. That is the fly in the ointment. The PRPs have responded saying that the site only need only withstand a 10-year event. Leon said the EPA is in formal negotiations with the PRPs to settle the matter, along with other containment issues such as an emergency response plan in the event of a flood or other catastrophic danger to the containment. The PRPs, Leos said, have two weeks to dispute the EPAs workplan. After that construction can begin in 30 days. Our best case scenario is six weeks, Leos said. He said that once the PRPs submit their plan, the EPA would review it. If it is acceptable, the work can begin. If the EPA wants revisions to the PRPs plan, then they have the right to counter those revisions and negotiations begin again. Leos said that their primary goal is to stabilize the source and keep t from going into the river. He added that he suspected the PRPs reluctance has to do with the expense of the project. He estimated the cost for the containment the EPA is asking for would be in the $7 million-range. A cost the PRP would have to pay from their own pockets. Once the construction begins, completion is expected between six and nine months depending on weather conditions. Located in along the western bank of the San Jacinto River just north of I-10, dangerous waste contaminated with a hazardous substance commonly known as dioxin, lies partially submerged in waters from the 1960s when it was dumped there by a paper mill company. The waste pits are part of a federal EPA program known as Superfund to clean the site. Samples collected from sediment, water, fish and crab tissues both upstream and downstream from the site show elevated levels of dioxins above health-based benchmarks. Recent tests show a concentration of 360,000 parts per trillion (ppt). Anything over 1,000 ppt is considered an area of concern, Leos said. The ingestion of dioxin is known to cause cancer, skin conditions, delay physical and neurological development and is known to have long-terms effects on the immune and reproductive systems. The Harris County Attorneys office had reached an agreement with International Paper and McGinnes Industrial Maintenance Corporation that will result in those companies designing and building a containment structure to stop the release of dioxin from a long-closed paper mill waste site. An agreement, signed on April 30th, requires the short-term containment work to be overseen by the Environmental Protection Agency to be completed within a year. BAYTOWN Tarun Jain, a senior tennis player at Goose Creek Memorial High School, was chosen as the recipient of a $5,000 scholarship from Reliant Energy and the Houston Texans, through their Scholarship for Champions  Powering Strong Minds and Bodies Scholarship Program. 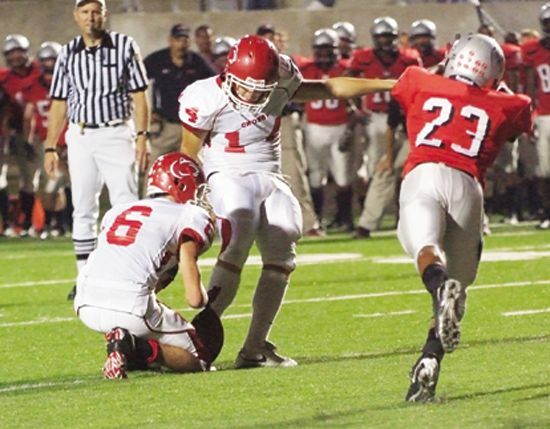 Coaches, principals, and administrators in school districts from the greater Houston area are given an opportunity to nominate student athletes for consideration, based on their athletic involvement and passion for their sport, as well as their ability to demonstrate ethics and leadership skills through their involvement in school activities and in their community. Reliant Energy and the Texans Foundation chose eight recipients from more than 100 applications. All eight recipients have been invited to a pre-game on-field presentation at the Houston Texans game on Nov. 28, when the Texans host the Tennessee Titans. Tarun has participated in tennis and was selected as the Team MVP for the 2008 fall season and Doubles Player of the Year for the spring 2009 season. He and his partner were undefeated throughout the 2008-09 season in mixed doubles, and as a junior, he was the top player on the Patriot tennis team. In the classroom, Tarun is ranked No. 2, and has served as the treasurer and president of the Kiwanis (Key) Club, and treasurer of the Goose Creek Memorial National Honor Society. For the last few years, Tarun has participated in many community events such as the American Cancer Societys Relay For Life, and the Feed The Vets program, the Wreaths Across America Foundation, and the annual City of Baytown Trash-off in which residents of Baytown help clean up the city. Taruns $5,000 scholarship from Reliant Energy is the second one in two years for Goose Creek Memorial High School. 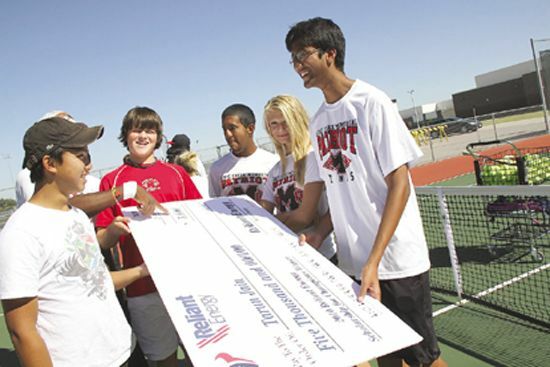 Last year, senior tennis player Amy Brewer earned the schools first $5,000 scholarship from Reliant. 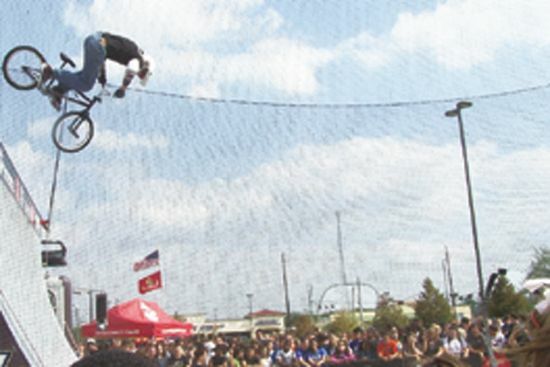 PINKS All OUT made its debut at Houston Raceway Park before a packed house in 2007, and after a three-year hiatus, the incredibly popular television show on SPEED makes a return to Chambers County October 15-16. More than 500 grassroots drag racers will take to the quarter-mile drag strip in a battle for bragging rights and a share of the purse. Host Rich Christenson will be on-hand to handle the festivities, plus all of the other regulars from the hit TV show. Plus, there are exhibition races, a bustling vendor midway and much more! PINKS All Out, the popular spin-off program to the original PINKS series, is hosted by creator Rich Christensen and offers grassroots racers a chance to win more than $18,000 in cash and prizes and an opportunity to run their cars in front of a national cable television audience on SPEED. Each racer is asked to run their car all out, and if they are caught sandbagging or slowing down they will be eliminated from the coming petition. New episodes are broadcast on cable channel SpeedTV on Thursdays at 7p.m. The taping of the episode will be the second to last venue for the shows fourth season. PINKS All Out concludes its national tour Nov. 20 at Firebird International Speedway in Phoenix. Tickets for PINKS All Out at Houston Raceway Park are going fast and can be purchased by calling the HRP ticket office at 281-383-RACE (7223). 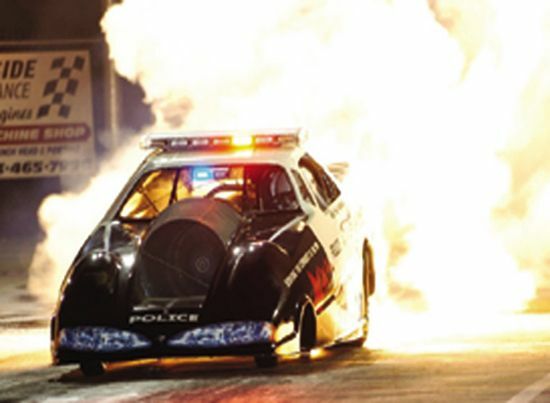 Reserved seats for Saturdays qualifying sessions and eliminations, including exhibition runs by Bob Motzs Jet Kenworth truck and Mike Hojo Hojonakis Interceptor Police Jet Funny Car, are only $30. Tickets for Fridays test and tune are $15. Kids 12 and under are free when accompanied by an adult. David Herbert McNerney, Medal of Honor recipient, age 79, passed away on October 10, 2010 at the VA Medical Center in Houston, Texas. He is preceded in death by his wife of 42 years Parmelia Charlotte, his parents Edward and Helen McNerney, his brother Edward and wife Mary, his sister Ruth McNerney Kress and husband John. David was born on June 2, 1931 in Lowell, Massachusetts, but moved to Houston, Texas in the early 1940s. David graduated from St. Thomas High School and joined the Navy in 1949 to follow in his brother Edwards footsteps of service to his country. 1stSgt. McNerney humbly summarized his prestigious military years in the Army by saying I was a professional soldier. As a U.S. Army Infantryman, he was the recipient of the Medal of Honor, the U.S. militarys highest decoration for valor. He also was awarded numerous other awards. 1st Sgt. McNerney served his country for forty-six years in the U.S. Navy, the Army and the Customs Service. He was proud that he continued a remarkable family tradition of outstanding military service. His father Edward McNerney served Infantry Division during World War I receiving the Distinguished Service Cross. His older sister Ruth McNerney Kress was an Army Nurse, and his brother Edward McNerney served in the Submarine Service on the USS Dace during World War II. His brother Richard P. McNerney, who served in the Air Force, received the Distinguished Flying Cross in Vietnam. David once observed about his family, We all seem to feel a deep obligation to the United Statesprobably from our father, who didnt say much, but who certainly set an example as an American. Several nieces and nephews have continued this proud tradition. During his career, McNerney served four tours of duty in Vietnam as both an advisor and as a 1st Sgt. of an Infantry Company spanning the years from 1962 through 1969. In a ceremony at the White House, President Lyndon Johnson awarded the Medal of Honor to 1st Sgt. McNerney on September 19, 1968 for action that took place on March 22, 1967, near Polei Doc, Republic of Vietnam while he was 1st Sergeant of A Company, 1st Battalion, and 8th Infantry Battalion of the 4th Infantry Division. His company of one hundred eight soldiers was on patrol to search and destroy enemy forces in the area when the company was caught in a ferocious ambush by a North Vietnamese Army Battalion numbering approximately eight hundred. 1st Sgt. McNerneys company would have been overrun had it not been for his leadership. After all of the officers had been killed except for one who was severely injured, 1st Sgt McNerney took command exposing himself to enemy fire several times during the companys defense. When relief arrived, A Company had suffered twenty-two killed and forty three wounded. Although 1st Sgt. had been wounded by a grenade, McNerney refused evacuation until his replacement arrived one day after the initial ambush. After volunteering for a 4th tour of duty in Vietnam, 1st Sgt. McNerney saw some of the most intense combat of his entire time in Vietnam. 1st Sgt. retired from the Army at the end of his twentieth year of military service in December of 1969. 1stSgt. 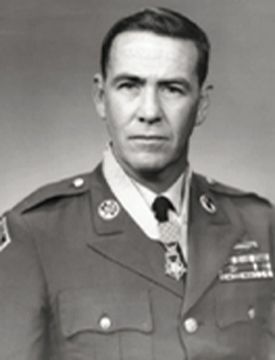 Mc Nerney continued his distinguished career of service to the United States in the U.S. Custom Service becoming a Senior Inspector in January of 1987. He was known as an industrious, persistent and patriotic customs employee. His fondest memories of the Customs Service were when he served as a member of the Houston Seaport Contraband Enforcement Team. 1st Sgt. McNerney continued to serve his country and community in retirement with his involvement with the JROTC in Crosby, Texas, the local civic groups, and as a leader in the Crosby American Legion Post 658. The documentary Honor in the Valley of Tears recounts the story of McNerneys unit in Vietnam and details the actions culminating in his receiving the Medal of Honor. The film premiered in May, 2010 at the G.I. Film Festival in Washington D.C.
David McNerney was a man of contrasts and contradictions. While he was a dedicated soldier and a fierce warrior in the defense of the United States, he was also a beloved husband, a brother, and a doting uncle who took great pride in his nieces and nephews and was keenly interested in their successes and accomplishments and served as a mentor to many. 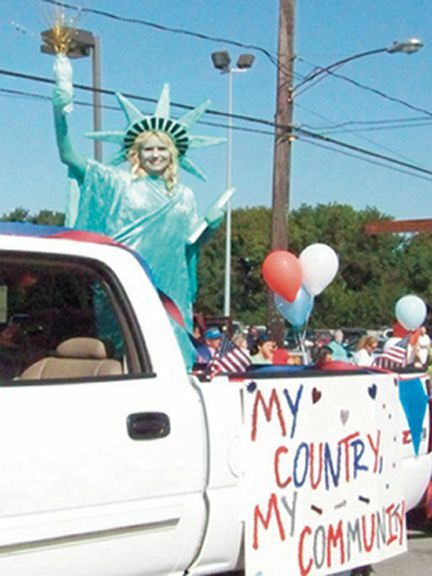 One thing is certain: David McNerney loved his country and loved his family. David McNerney is survived by his brother Richard P. McNerney and wife Patricia, sister Susan Mauro and husband Steve and by seventeen nieces and nephews, twenty-three great nieces and nephews and two great- grand nephews, and his close friends, Gerald and Suzanne Blankenship, whose friendship and caring Davids family gratefully acknowledges. Davids advice to all of us was To protect your name which is legacy that his family will try to live up to. He is most importantly survived by His Boys from the 4th Infantry division. He held them in high regard and considered them the sons he never had. To the men of the 4th Division, especially Col. Sauers, the family is ever in your debt for your support of David and enrichment of our lives in the process. HIGHLANDSShe had the look, she had the poise and now she has the hardware. 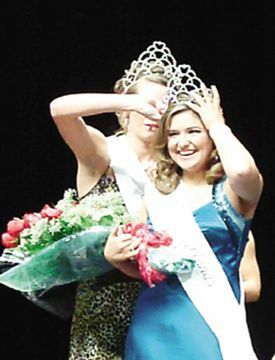 Alli Little was crowned the 53rd Miss Highlands at the annual pageant held Saturday night at Highlands Junior School. The Miss Highlands and Junior Miss Highlands Pageants are hosted each year by the Highlands Horizons service organization. The group then uses the funds raised for scholarships. Earlier in the day Kendyll Reznicek became the 18th Junior Miss Highlands. The competition for each crown began the previous Saturday as each contestant rode in the Highlands Jamboree Parade. The contestants were judged on smile, poise and wave. Taking stage as master of ceremonies for both pageants this year was Sterling White Funeral Home and Cemeterys Managing Partner Jeff Moore. Assisting him was 2009 Miss Highlands Courtney Spann. In both pageants, contestants are judged in categories of sportswear presentation, evening gown/ party dress and interview. There is also an optional talent competition. In addition to the top three finishers in each pageant, special awards are given for Congeniality, High Ticket Sales and Photogenic. Linsday Turner won the talent award for playing of a Bach tune on piano. Elizabeth Keyes won High Ticket Sales honors and was voted winner of the Congeniality Award. Holly Turner won the Photogenic Award. The family of Highlands Horizons founding member Jennie Robbins has created a special Community Service Award, which is given to the contestant who has gone out of her way to serve her community. This years honor went to Alli Little. In the final voting for the crown, Keyes was named second runner-up and Shelby Russell was named first runner-up. Earlier in the day the Junior Miss Highlands Pageant was held. The format is nearly the same as the Miss Highlands, the main differences being a different question asked in the interview and party dresses replace the older contestants evening gowns. Casie Russell won the Talent Award for her recitation of the Shel Silverstein poem Sick. She also won the Photogenic Award Reznicek won High Ticket Sales. Lyndsey West won Congeniality In the final voting for the crown, Casie Russell was named second runner-up and West was named first runner-up. The Harris County Emergency Service District No. 14 will hold a meeting at 6:30 pm on October 25, 2010 at 123 San Jacinto, Highlands, TX 77562 to consider adopting a proposed tax rate for tax year 2010. The proposed tax rate is 0.050000 per $100 of value. 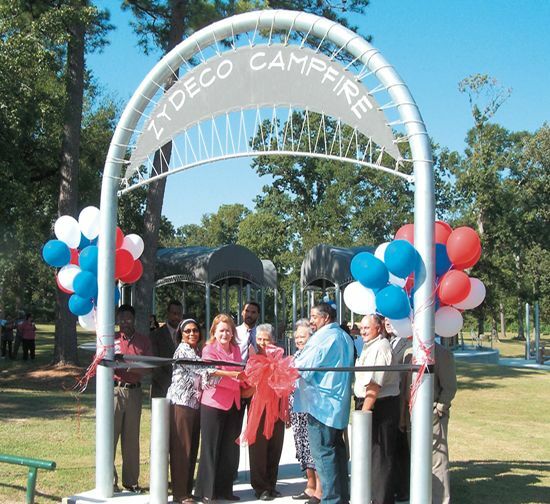 Highlands held its 54th Annual Jamboree last weekend, with a full agenda of events topped off with spectacular weather. One of the largest crowds seen at the festival in years, enjoyed both old events and new ones. The Jamboree is put on by the Chamber of Commerce, and was led this year by Jessica Woods, with the help of a full team of helpers. It seems there were events for all ages and all types of participants. The day started with a Fun Run at 8 a.m., and a full parade down Main Street at 10 a.m. Then the action moved to the Highlands Elementary school grounds, where both inside and outside the community served food, played games, displayed crafts and community projects, and provided lots of fun. Many of the booths were money-makers for their individual organizations or businesses, but everyone seemed to enjoy participating. The Jamboree also included a Little Miss and Mr. Childrens pageant, with lots of entries from babies to fifth graders. Also included were door prizes and a raffle. Prizes in the raffle included gift cards, and a fancy gas grill. A silent auction was well attended, and helped raise money for the Chamber. A major event this year was the car show, with about 30 entries of beautifully restored older cars. Carl Green won this with a 1956 purple Chevy, and James Hughes 1958 Ford with a retractable top was the Chambers Choice. Winner of the raffle was Tom Hill, who got a Stainless Steel BBQ Pit Gas Grill. The Gift Cards were won by Mike Wood $1000, Amy Carsner $500, S. Adams $250, and Steven Romero $75. Other award winners in next weeks issue.